I had an interesting conversation a few years ago with my father-in-law, who is an attorney. I have tons of love and respect for this man. In particular, I appreciate his ability to analyze all angles of a situation. During this conversation, our topic was his worsening shoulder pain. As an avid tennis player for many years, his shoulder was now not allowing him to serve and play the way he was accustomed to. He posed the question: “How can physical therapy help my shoulder feel better?” As a newly practicing physical therapist (PT), and feeling a bit interrogated by his attorney style, I struggled a bit to give a clear answer. Today I would like to redeem myself! I want to discuss how physical therapy can help treat pain and improve function, using shoulder pain as an example. Physical therapists (PTs) are experts in human movement. PTs are trained at a doctorate level to evaluate and diagnosis musculoskeletal pain. Using a thorough evaluation on the first physical therapy visit, your PT is able to make an accurate assessment of your condition. Based on that information, a comprehensive plan of care is developed to first – address the painful area, and second – treat the related underlying weaknesses, restrictions or imbalances in the human body that may be causing your pain. 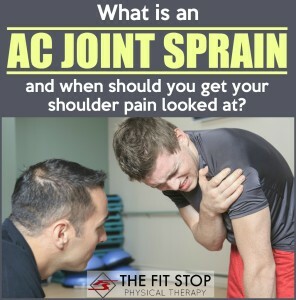 Shoulder pain is one of the most common conditions treated at the Fit Stop Physical Therapy Heber City location. We see a variety of shoulder-related issues: from the post-surgical patient to those trying to avoid shoulder surgery. There are also those with sprains and strains from athletics or weight-lifting. So, how can PT help shoulder pain? ● First, it provides localized/targeted pain relief by reducing inflammation and/or reducing scar tissue. This is done with hands-on manual therapy techniques and physical therapy modalities (cold or heat therapy, ultrasound, and electrical stimulation). PT also analyzes the different movement patterns of the patient to make a plan for behavior modification. For my father-in-law, this meant altering the tennis serve to prevent aggravation of the shoulder. ● Second, it corrects underlying shoulder movement impairments (either too much movement or not enough) using manual therapy and therapeutic exercises. This helps normalize movement and strengthen the overall shoulder, which takes pressure off the affected tissue. ● Third, once pain and inflammation are under control, a physical therapist will outline a comprehensive home exercise program that will enable the patient to maintain progress and prevent relapses in the future. There is more and more evidence all the time that indicates that PT should be the primary treatment for musculoskeletal pain. Again using the shoulder as an example: a recent study reported in the January issue of the Bone and Joint Journal showed that when it comes to non-traumatic rotator cuff tears, PT alone gets similar results as arthroscopic surgery. PT has also been shown to attain similar results to surgery in treating back pain. So, at the age of 81, my father-in-law still hits the tennis ball around a bit. He definitely has to alter his swing to avoid flare-ups, but has been able to manage the pain and avoid surgery by following a conservative treatment approach. 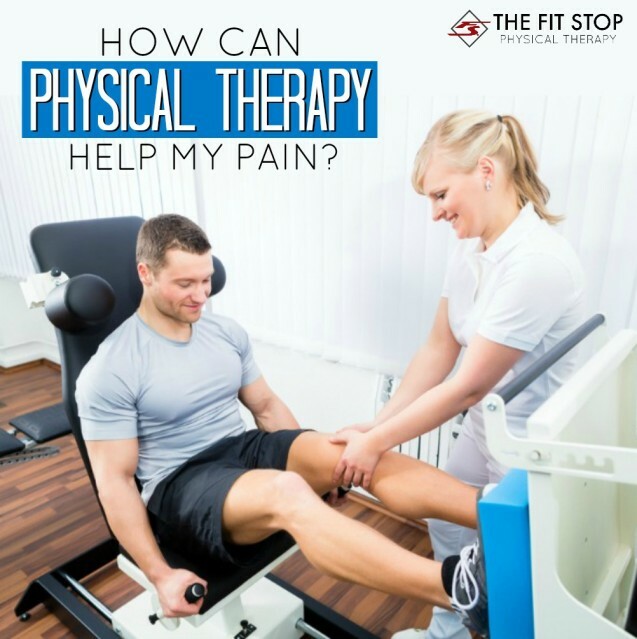 Contact your PT at the Fit Stop today to experience the difference that physical therapy can make in reducing pain, speeding recovery, and returning to normal activity. I think physical therapists do really great work. It is just like you explained it. 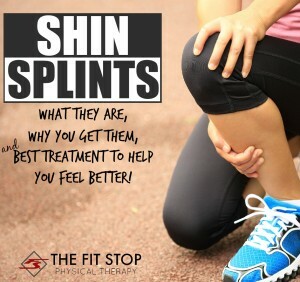 They help you get over the pain and then they help you get back into shape without the pain coming back. I think it is definitely worth the effort to see a physical therapist. 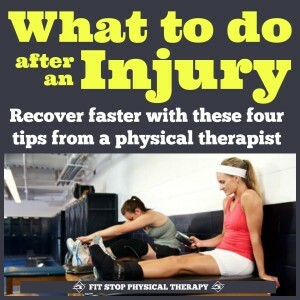 This some really good information about physical therapy. It does seem like a good thing to be aware if you have a lot of pain. I like that you talked about how you should be aware of the fact that they will continue to help you once the inflammation has gone down. Thanks for the comment Emily!